Here is a collection of photos from the conference taken by Anna-Jean, Dennis and Henry. Our 2006 annual meeting was held at Old Dominion University in Norfolk, VA on Memorial Day Weekend, May 25th - 28th. 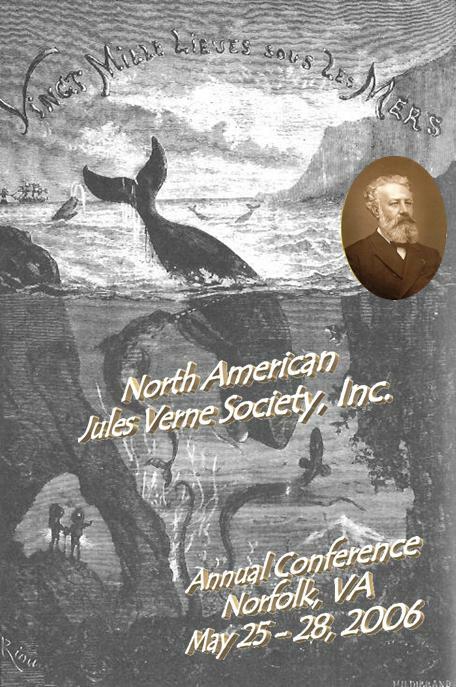 The theme of the meeting was loosely based around the idea of Jules Verne’s America: The Civil War, The South and the Sea, etc. May 25 5:30 PM Meet in Tazewell Hotel lobby for self-transfer to dinner. May 26 8:30 AM Carrey VIP Van pick up at Tazewell Hotel. Parking Passes will be distributed for all those coming by car. LIB 151 unless otherwise noted. that he will be able to join us sometime in the future. May 27 9:00 AM Carrey VIP Van pick up at Tazewell Hotel. - Tom McCormick, NAJVS Inc.
- Rick Walter, Vice-President, NAJVS Inc.
- Norm Wolcott, NAJVS Inc.
10:00 AM …a tour of USS Eisenhower, an aircraft carrier.